​Irish Songmakers was set up in 2012, with a view to presenting song and vocal recitals in Dublin and Ireland. 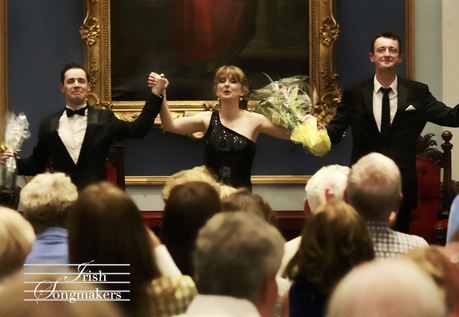 Since then, Irish Songmakers have presented acclaimed concerts in Dublin's Freemasons' Hall, National Concert Hall John Field Room, the Hugh Lane Gallery, and two German Lieder masterclasses given by Alison Browner in conjunction with the Royal Irish Academy of Music. Please browse this website and connect with us on Twitter / Facebook for more information and updates!